My third ground of 2017 was on Saturday 4th March at Campo de Fútbol de Vallecas in Vallecas, Madrid, Spain. 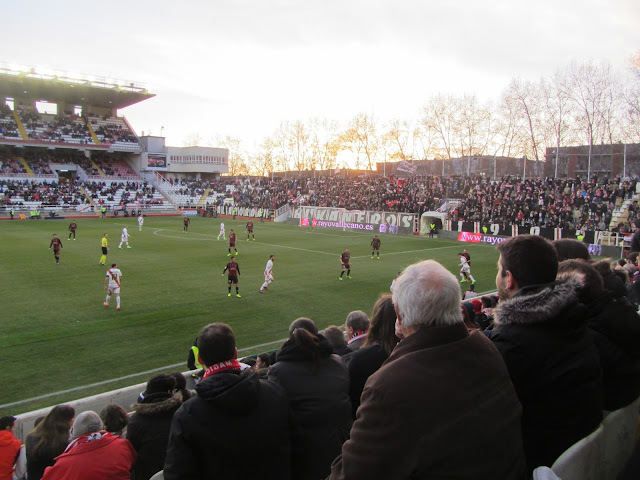 The match was Rayo Vallecano vs. Reus in the Spanish Segunda División. 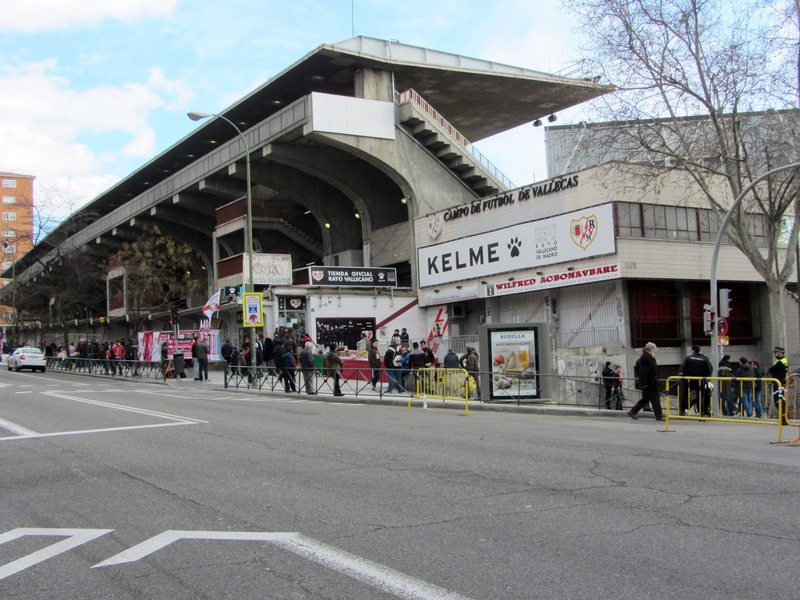 Campo de Fútbol de Vallecas is in the Vallecas area of Madrid in the south of the city. The ground is situated in a built-up residential area which restricts it to being a three-sided venue. Next to the stadium is the Portazgo metro station which is on Line 1 of the Madrid Metro. 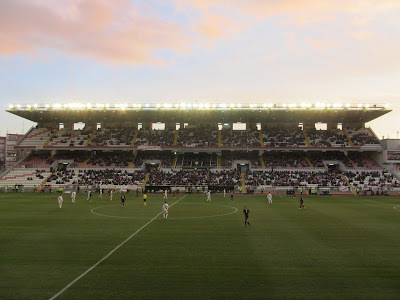 The venue became the home of Rayo Vallecano upon opening in 1976 and has been the club's longest serving home ground. The two stands that run the length of the pitch are very similar structures - each having an approximate capacity of 6,500 and consisting of three tiers with the upper two tiers covered by a roof and the lowest tier extending beyond this. The south-west side of the ground includes a separate area in the middle of the stand for club officials and guests and the two dugouts in front of the lower tier. The north-east side is just general seating with away fans housed in the eastern corner of the upper tier. The outward face of the stand is where you can find a small club shop and a row of ticket windows. The lower tier of the ground in effect forms a three-sided bowl with a single tier behind the north-west goal. This uncovered stand can hold just over 1,200 fans and is home to the Rayo ultras, known as Bukaneros. This end produces much of the crowd's noise and there are plenty of flags on display. There are two sections of seating (one either side of the goal) lost due to the two player tunnels going into the stand. There is however the the additional seating of around 600 in the quadrants ensuring that this end links up with the other two stands. Both quadrants back onto club buildings and there is a a big screen on top of the building in the north-west quadrant. As there are apartment blocks within a few feet of the goal at the south-eastern end there is no space for the club to have a fourth side to the ground. Directly behind the goal there is a large board showing an image of fans at the opposite end of the field. The hosts very nearly got their noses ahead within the first 5 minutes when a cross from the left found Patrick Ebert six yards out and his header skirted the outside of the post. After this the game settled down into a dull encounter with both sides showing why they were in the lower reaches of the league. It wasn't until just before half-time when the next good opportunity came as another cross from the right picked up Javi Guerra in the box. He turned and shot and with the ball heading inches wide Adri Embarba's attempt to slide the ball in at the back post was just too late. Within a couple of minutes of the second half starting Vallecano had the ball in the net when a free-kick was saved and the rebound poked home by Embarba. Unfortunately for Embarba he was in an offside position so his goal was disallowed. The home side were far more energetic in the second half and in the 68th minute Ebert unleashed a 25-yard effort which came flying back off the post. A minute after this Guerra managed to head just wide from a few yards out. Rayo Vallecano were all over Reus but couldn't break them down. The visitors were happy to soak up the pressure and occasionally venture out of their half with quick counter attacks. They looked dangerous while doing this but their best chances came with speculative efforts outside the box. 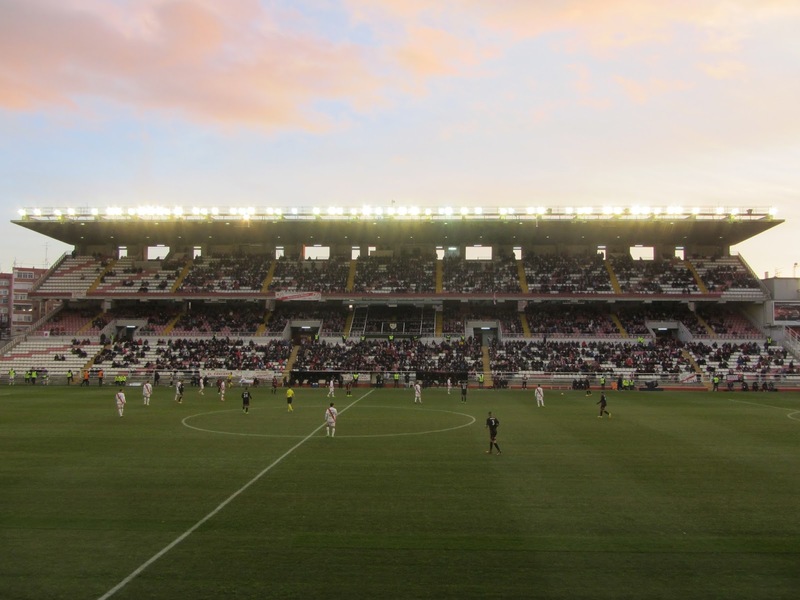 Reus will have been the happier of the two sides with the goalless draw as Rayo Vallecano's first season back in the 2nd tier continued to be a struggle.